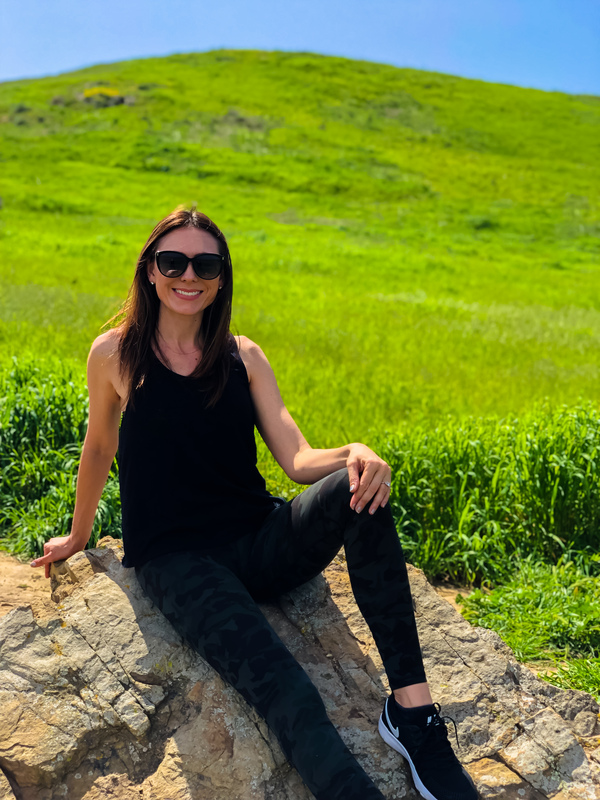 Living in Orange County includes having access to some of the most beautiful views and best hiking spots in California. Irvine, in particular, is definitely known for its parks and open space. Since I just got a new puppy I’ve been looking for some trails that allow dogs and have found some awesome places! I can’t wait to take him to Quail Hill Trailhead since it’s been a long time favorite of my family. 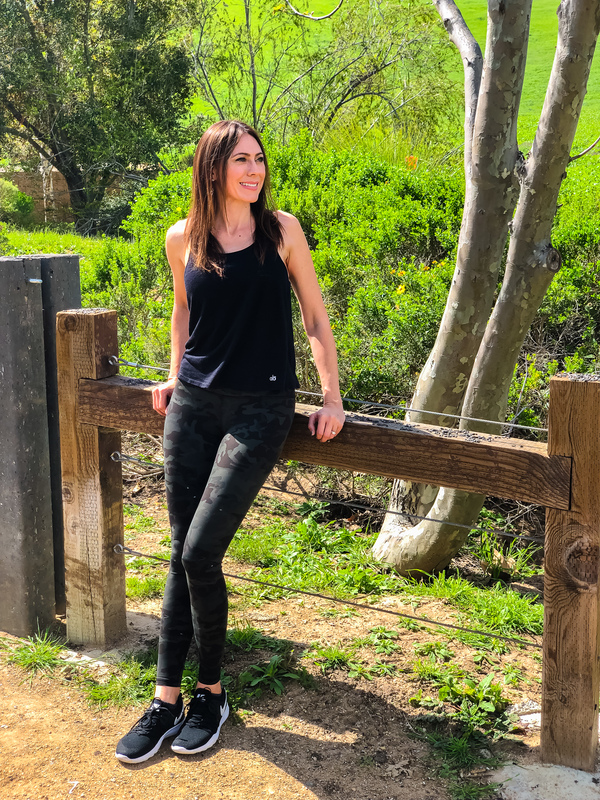 One of the reasons I love this trail so much is because of the expansive view of Fashion Island, Tustin Hangers, The Great Park, and Irvine Spectrum. I love how the grass covering the hills during spring is so luscious and vibrant. Whenever I go with my family we love to play “I spy” and look for different caterpillars and butterflies. Of course, my sons spot the most animals and bugs since they’re so curious! Turtle Rock is another favorite hike of mine since it is a relatively shorter hike that leads to one of the best views in Orange County. 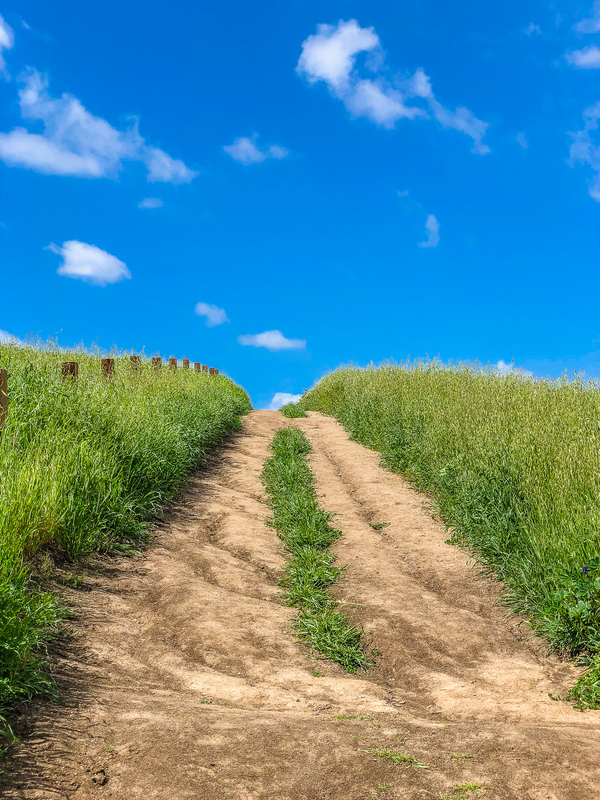 There are several different paths to take at this spot, that range from stairs to actual dirt trails. 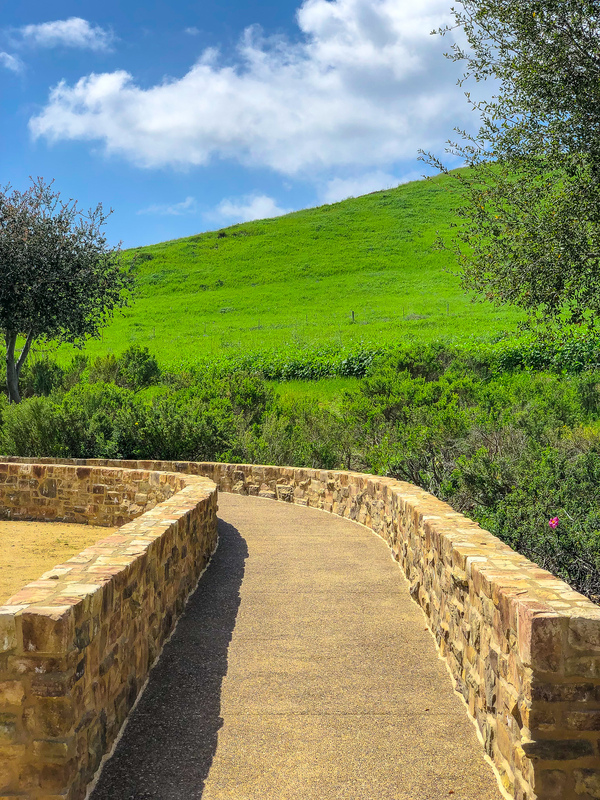 I would definitely consider this one of the shorter hikes in Irvine, and also very kid friendly. My family and I are usually able to make it to the top without having to carry my sons on the way up! I definitely recommend this hike if having stunning scenery and views are your priorities! A question I get asked every weekend is, “Can we go to the big park” from my kids. Immediately, I know they are talking about the William R. Mason Regional Park! Many people in the Irvine community come together at this park since lots of events are held here. One that stood out last year was the kids live concert that took place last summer. Both of my sons love spending Sundays having picnics and watching the model sail boating in the lake. They also can’t get enough of running around on the massive playground with all the other children there. My husband can’t wait until they get older, so all of them can go riding on the bike trails there too. I have to say my favorite part about going to the park, is that they are so tired after and fall asleep on the way home! The Great Park has to be the most well known, as well as most appreciated parks in Orange County. Since it is close to 1,300 acres of land, there are so many awesome features. Something unique about this park is that it has a hot air balloon that gives a birds-eye view of the gorgeous landscape from 400 feet above the ground. A new ice facility for figure skating, tournaments, and recreation was also opened over winter! The Sports Complex is also another popular feature of the park. This complex includes several amenities for lots of sports such as volleyball, basketball, soccer, and tennis. There is literally something here for everyone. Something that I really enjoy about the park is the Farm & Food Lab. For gardening enthusiasts, this is the perfect place to learn more about organic horticulture. Every Sunday from 10 a.m.-2p.m. The Farmers Market at the Great Park is held, where produce grown locally and from the Great Park Farm is sold. I love cooking with fresh and organic food for my family so buying produce at The Great Park is always on my to-do list for the week! I love being outdoors with my family and soaking in the sunshine! 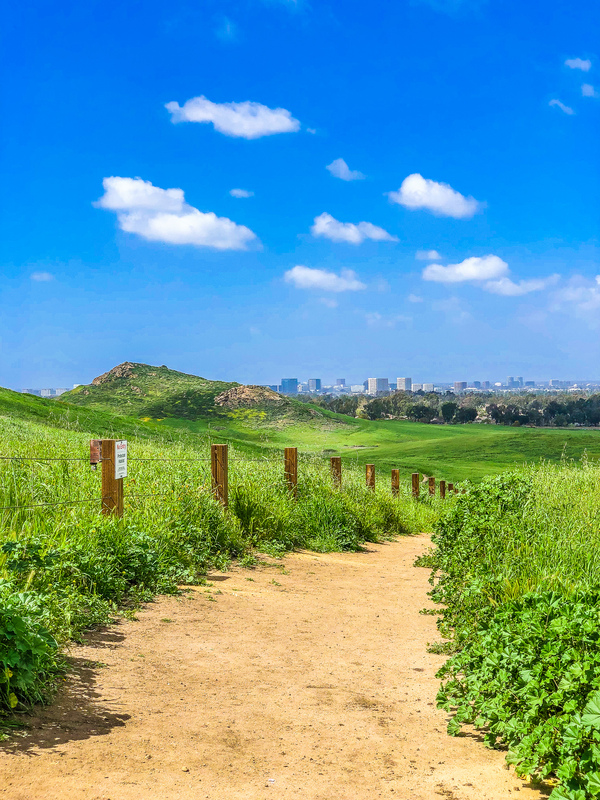 What are your favorite parks and hiking trails in Irvine? I would love to hear.